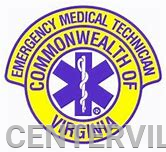 The Goochland County Fire-Rescue Department will be offering a Fall EMT Course starting Wednesday, Sept. 5, 2018 through February 6, 2019, instructed by Frank Chinn, NREMTP, EMS Education Coordinator, at the Henley Fire-Rescue Training Center. This program will be open to both members and the general public. Registration will begin immediately for GCFR Members, followed by public registration opening in early August. To enroll, call Fire-Rescue Administration at 804-556-5304. If you are looking for a good way to give back to your community, this is it!! !